The SOLAR PLANT Project can be generated, importing the local coordinates from different formats (DXF, TXT). A TARGET POINT file will be produced for the GPS navigation purpose. STX-SUITE is a quick and smart stakeout GPS solution made for any kind of operator. A clear guidance layout aids the operator to find the post position with centimetres accuracy. STX-SUITE fits on any kind of piling machines, drives the operator on the target point (post coordinates) in manual and automatic mode. 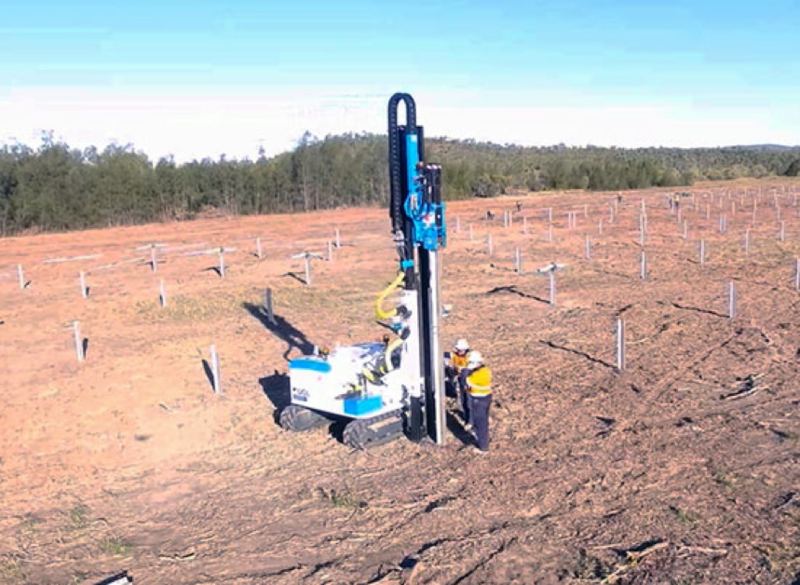 A slope sensor with an hydraulic interface can be installed on any machine in order to assure always the best levelling accuracy of the mast along two axis. Adopting STX-SUITE solution means reducing production costs. Less operators with high productivity.